Following hot on the heels of London’s Gallery Fumi, Rolls-Royce has become the latest luxury brand to open a pop-up store in Sardinia’s Porto Cervo. Returning for the second year, the Rolls-Royce Summer Studio is located on the island’s beautiful Costa Smeralda and promises much more glamour than your average car dealership. Designed to feel more like a club or bar than a garage, the luxurious studio will allow guests to test drive a fleet of Phantom, Ghost and Wraith cars along Sardinia’s stunning coastal roads. Should you be impressed, an atelier will also be on hand to discuss sales or arrange a bespoke commission should you so wish. The studio will also play host to three custom Porto Cervo Wraiths. Designed to mark the brand’s summer in Sardinia, each one alludes to a nautical theme through its Azurite Blue paintwork, the Promenade du Port emblem embroidered on the headrests and a stark white interior accented with navy details calling to mind a superyacht exterior. 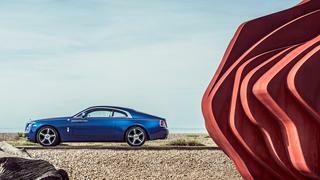 However, there is much more than just car sales on offer at the Rolls-Royce Summer Studio. Targeted as a social hotspot for Porto Cervo’s affluent superyacht set, the studio will open as a cocktail-hour destination every evening and is set to host a series of exclusive luxury events. Kicking off with a talk by yacht designers Elliot March and James White, the summer’s event programme includes a guide to the best wines to cruise with from journalist Tom Harrow and a fascinating look at the world of bespoke tailoring with master British tailor Timothy Everest. In addition, official Rolls-Royce partner Dominator Yachts will be present at the Summer Studio to offer guests a special virtual reality tour of one of their yachts. 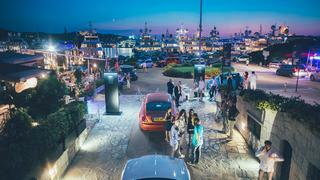 The Rolls-Royce Summer Studio is open on the Costa Smeralda, Sardinia until September 18.